The demonic forces swarm Darnuir’s city sooner than expected, and he is mortally wounded from a task that he wasn’t even supposed to be in charge of. He may very well be the last of his bloodline, because of the demonic ambush, so a wizard teleports them away so that he can be reborn into a new dragon, where he will lose all of his memories, yet keep his same and very important bloodline running through his veins. Not only is the cover of this book gorgeous, but the story is so very beautiful as well! And don’t get me wrong, I’ve read my fair share of resurrection novels, but I’m hard pressed to think of a book I’ve read about rebirthing someone. This story is captivating, the world is so unique, the writing is addicting, and the characters are so very unforgettable. 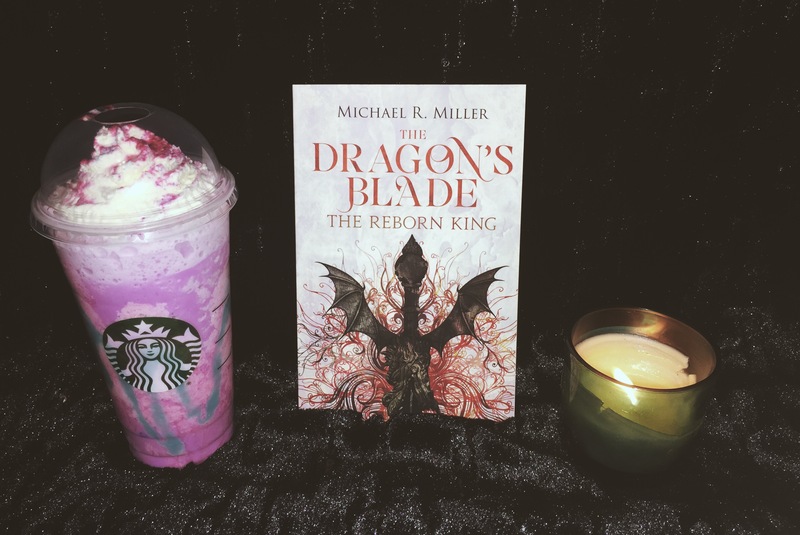 • Dragons – Homeland = Aurisha: The dragons of this age, have morphed themselves to look like humans, and only the strongest can morph back to their original forms, but we do not get to see that in this book at all. Dragons are much stronger, faster, and overall just perform much better than humans. • Fairies – Homeland = Val’Tarra: Be still, my heart. Fairies love the trees and think of them as their children. In this book, they are blued skinned, with wings, and are naturally very magical. Reading the parts of this book that took place in their homeland were my absolute favorites chapters. • Humans – Homeland = Brevia: The humans are legitimately just like us. They do have a many groups of people scattered amongst this world that call themselves Hunters. Hunters are trained to fight for most of their lives; whether it is wild game to feed their families or demons to save their cities. • Draconess – The Dragon King and Darnuir’s father. • Kasselle -Queen of the Fairies and my absolute favorite. • Arkus – The Human King, who has a missing son and is now overprotective of his infant daughter. • Darnuir – The Dragon Prince, and our main protagonist that I talked about above! • Cosmo – A hunter that wants to just live a happy life, but ends up being forced to take on important responsibility after important responsibility. • Cassandra – A human girl who has been in captivity all her life, until she is finally able to escape to give warning for the upcoming and terrible events that are about to happen. • Balack – Darnuir’s best friend, who he has grown up with and now has a lot of unsettled tension with. • Blaine – Wielder of a powerful blade, who teaches Darnuir a lot about who he really was and who he needs to become. • Ochnic – Frost Troll who is basically a little cinnamon roll angel. Wizards also have staffs, which doesn’t seem too uncommon for a fantasy book, but Michael R. Miller did something super unique and pretty cool. The wizards in this world are all gifted staffs that come from a tree. Those trees are constantly linked to their staffs, and the wizard can teleport to that tree at any given time. On the negative side though, if something happens to the tree that the staff was made from, the staff also suffers the same fate. • Rectar – The big bad of this story! Honestly, he’s still pretty much an enigma. • Castallan – The other wizard, and also a turn-cloak traitor who is obsessed with cascade energy. • Zarl – General of the demons, who also wears a pretty awesome set of blood armor. • Dukoona – Lord of the Spectres. He was taught by Rectar how to command demons, and for sure feels like his second in command, but he totally has his own thoughts and feelings. Okay, hear me out, but Dukoona is right up there with my favorite characters from this book, and I have so much hope for a redemption story for him. • The Dragon’s Blade – The embodiment of a dragon: fire, flying, and super powerful strength. The wielder must be from the original bloodline, which also makes the leader the king of dragons. • The Guardian’s Blade – Stores very important memories and has a very magical light. The wielder will not every grow ill, and will not ever age. The blade must be passed down from the owner. • The Champion’s Blade – Mysterious and missing sword that can help them win the war against demons. The sword will find only a wielder that is worthy of it and its power. AKA: The Sword of Gryffindor. In this book, we get to see Darnuir struggling with learning how to use the Dragon’s Blade, and we get to see glimpses of and into the Guardian’s Blade, but I cannot wait to find out any and everything about the Champion’s Blade. I know I listed a lot of information, while also being very vague, but I feel like this story is honestly best to go into pretty blind. It is also rather difficult to talk about Darnuir’s life pre-rebirth and post-rebirth, just because I could accidentally say so many spoilers! But what I will say is that this was an amazing and almost perfect read that I would completely recommend to any fantasy lover. This was such an addicting and fast read that I never wanted to put down. I still am absolutely blown away by this debut author’s book! It also may be, to date, the best independently published book I’ve ever read. I cannot wait to continue on with Veiled Intentions very soon, and I have tremendously high hopes for this series and for Michael R. Miller’s future! Read The Reborn King for free, by subscribing to the author’s newsletter: Here! Great review. this books sounds really interesting as i haven’t read many resurrection books and the cover is so pretty. Thank you so much, love 💗. Thank you for your kind words! 💖 Yeah, it was such a good read! I absolutely loved it, and if you pick it up, I hope you love it too! Fantastic review!! This sounds right up my street- definitely want to check it out!! Wonderfully detailed and beautiful review. I loved this book, a wee bit more than the second one. Both the covers are superb. 🙂 Get to it. Reading back to back was a great experience for me. I read about your commendation on Sebastian de Castell’s Greatcoat series on Aron’s blog just now. Going to start that one hopefully next month. I have the Spellsinger ARC too.
! I’m reading Spellslinger right now and really loving it.